In my view QUO VADIS is one of the best peplums ever made with a religious theme. It is almost equal to THE TEN COMMANDMENTS (1956) and BEN HUR (1959). Robert Taylor's rather wooden performance was somewhat overshadowed in term of acting ability by both Leon Genn and Peter Ustinov. Similarly Deborah Kerr did not come across as strongly as did Patricia Laffan or Marina Berti. Kerr was just too "goody-goody" for my taste. However, maybe that was the appropriate way to play her role in the early 1950s. I just watched the film again a few days ago and agree with Mr. Ochiltree's assessment of it. For me the Robert Taylor/Deborah Kerr love affair isn't nearly as moving as that of Leo Genn and Marina Berti. I also think it is one of the best Epic films ever made. I prefer it to Ben-Hur myself. Poor Marina Berti was ill served by the Epic genre. 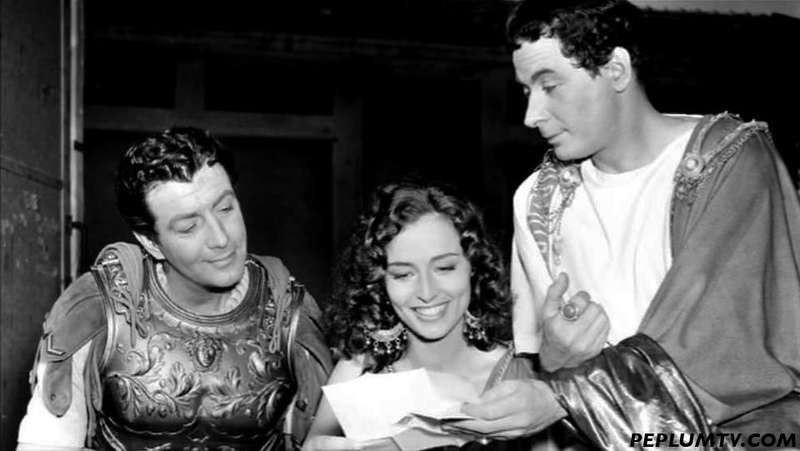 Her part as the Queen of Tarsus in the 1963 Cleopatra was cut entirely as was most of her part in Ben-Hur. She was a real beauty.